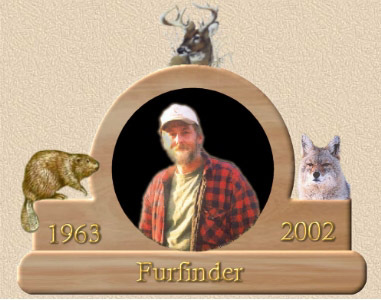 WILLIAM R. GILBERT (Furfinder), Born January 11, 1963 of Brookville, IN, died Monday November 18, 2002. Bill resided with his wife, Melinda and his youngest daughter, Anna in Brookille, IN. His oldest daughter, Angela, is pregnant with his first grandchild at this time. Other survivors include his mother and stepfather, Opal and John Page, sister Janet Bishop and brother Brunner Gilbert. 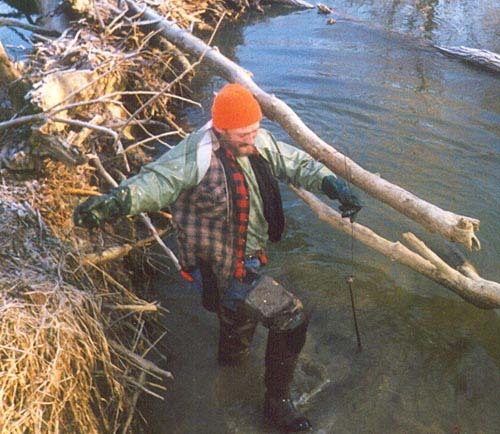 Bill spent six years in the Army where he was a tank mechanic and border guard. At the time of his death, he was employed at J.M. 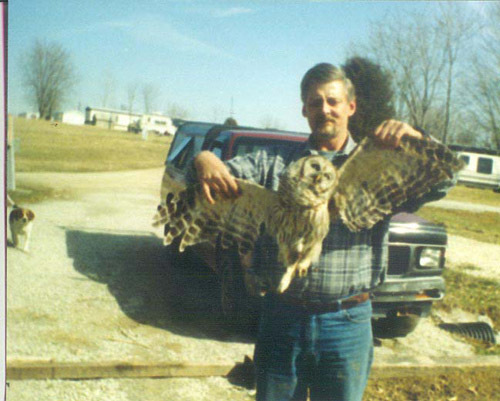 Hutton Casket Co. in Richmond, Indiana and had recently started an animal damage control business. 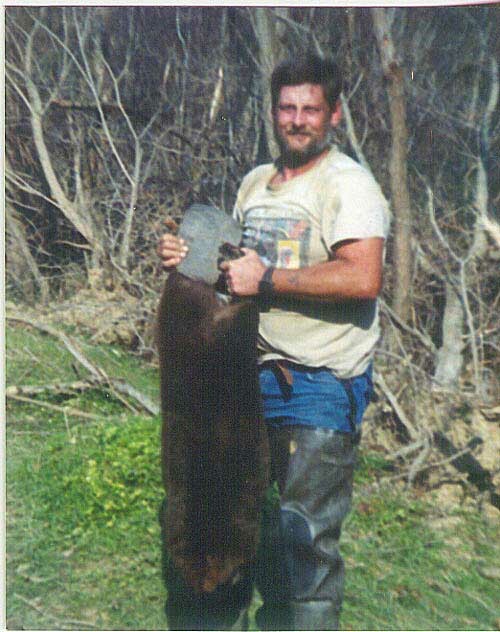 Bill enjoyed trapping all legal furbearers to Indiana, but was partial to canines and beaver. He also enjoyed deer hunting. Last year Bill and I trapped together in Indiana for a week. 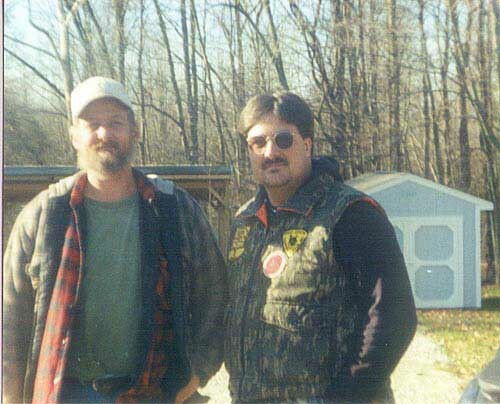 In February 2002, Bill and I attended the Ohio State Trappers Association fur auction in Xenia, Ohio. That was Bill's first fur auction despite having trapped for more than twenty years. 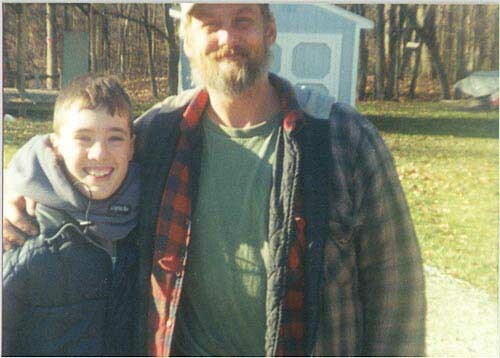 Bill taught me a few things in the time that we spent together, some about trapping, but more about how to live life. I will miss his friendship and hope that someday we'll trap together again. Submitted by Jack Turner Jr.
All of us at Trapperman.com will miss Bill as we will miss those who have gone before him. I met Bill at the NC convention a few years ago with his family. He had the character that most of us strive to attain. 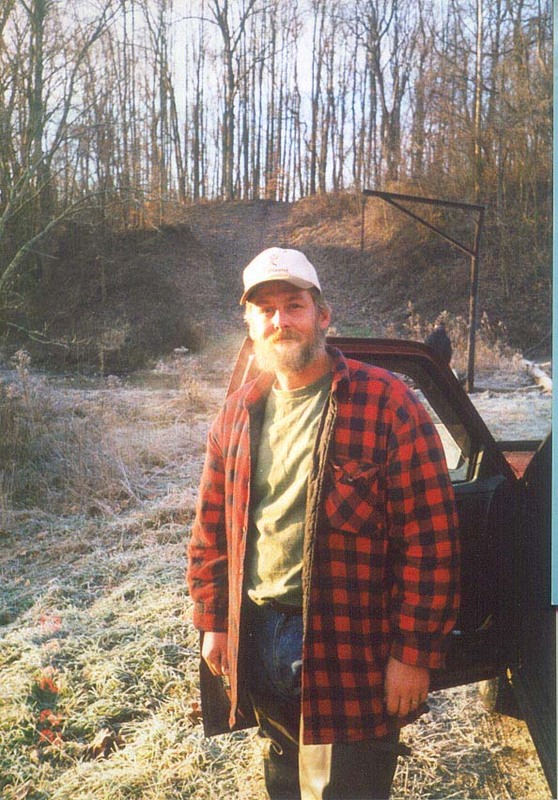 He was an excellent trapper and friend to the whole trapping community. We'll miss you Bill. 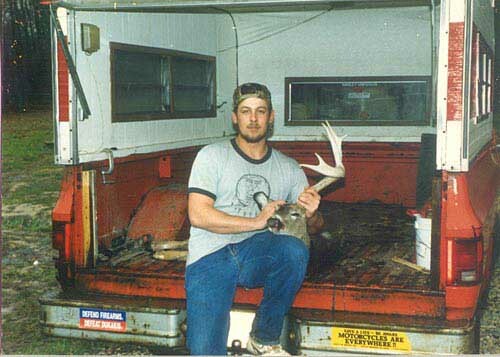 Bill at 27 years old with a button buck and an antler shed.